Inspired by the colours of the Mediterranean, the Lagoon Tablecloth is ideal for any occasion. 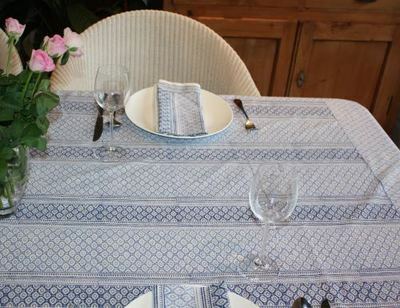 Team this beautiful blue and white tablecloth with crisp white tableware and you will be sure to impress your guests at your next dinner party. Hand block printed onto 100% cotton by Indian craftsmen.